When Panerai was sold to the Vendôme / Richemont Group in 1997, part of the Italian team left to establish Anonimo who specialized in the production of professional watches and pioneered the use of bronze in watchmaking. 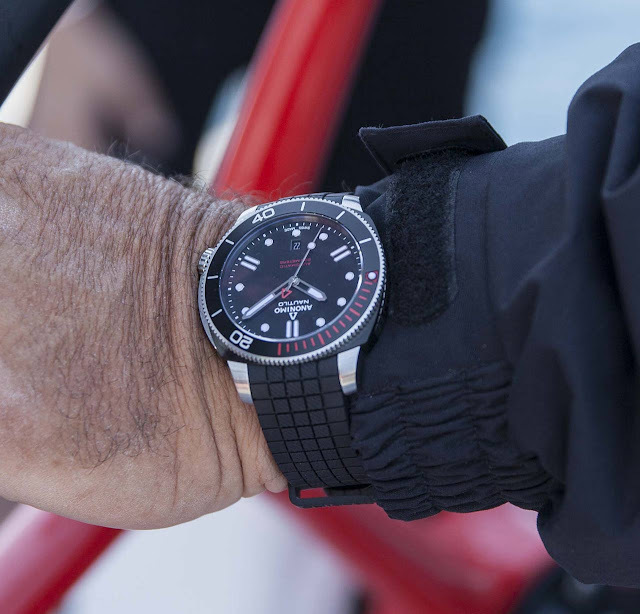 Now based in Switzerland, Anonimo has recently unveiled its latest timepiece - the new Nautilo Sailing Edition - on the occasion of the 64th annual Giraglia, one of the most famous Mediterranean regattas. 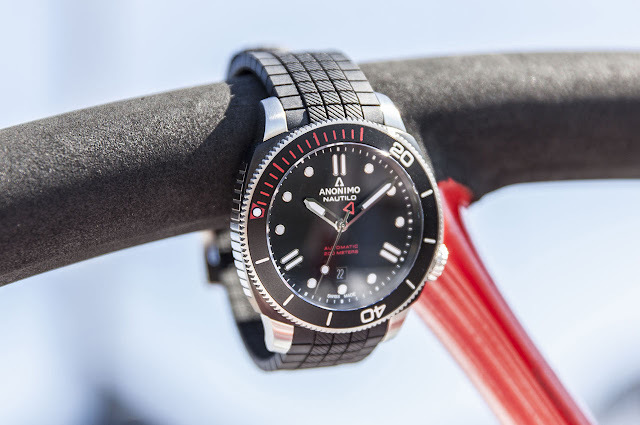 This new, stainless steel / black DLC (Diamond-Like-Carbon) dual-tone model is equipped with a uni-directional black tinted aluminium bezel enhanced by red accents. 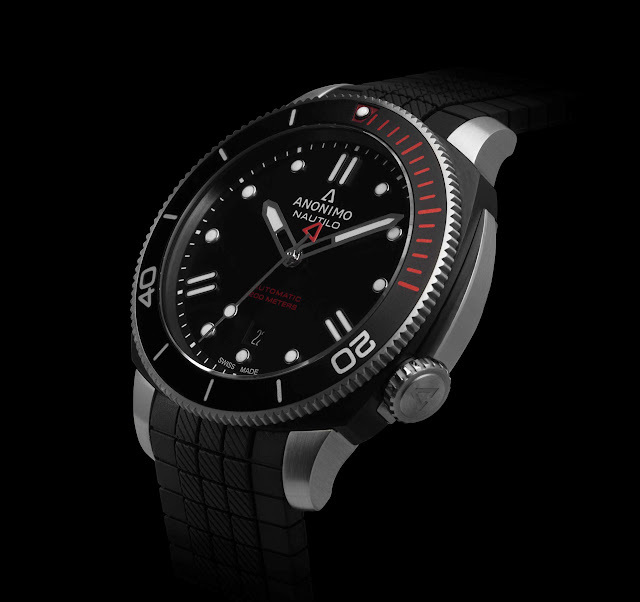 A contemporary reinterpretation of the original Anonimo diving watches designed by engineer Dino Zei (who led Panerai for several years in the pre-Vendôme era), the Nautilo Sailing Edition is characterised by the crown at 4 o'clock, a better position in terms of ergonomics according to many divers. The 44.4 mm cushion case features a hypoallergenic titanium back and is water resistant to 200 metres / 660 feet. 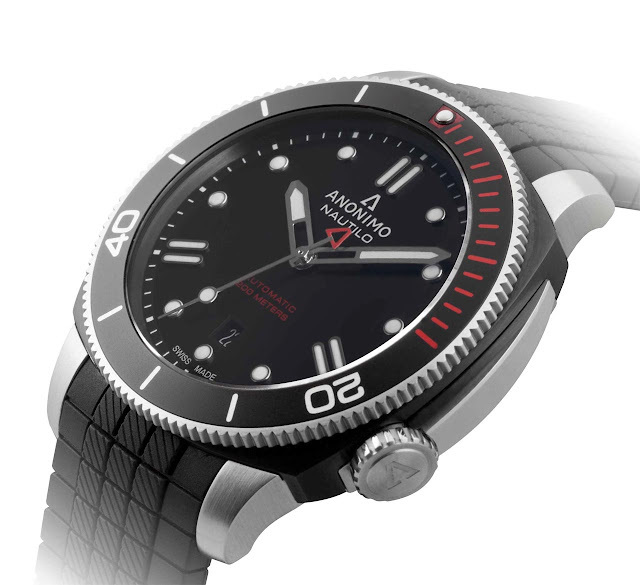 Anonimo Nautilo Sailing Edition. When Panerai was sold to the Vendôme/Richemont Group in 1997, part of the Italian team left to found Anonimo who specialized in the production of professional watches and pioneered the use of bronze in watchmaking. Now based in Switzerland, Anonimo has recently unveiled its latest timepiece, the new Nautilo Sailing Edition. 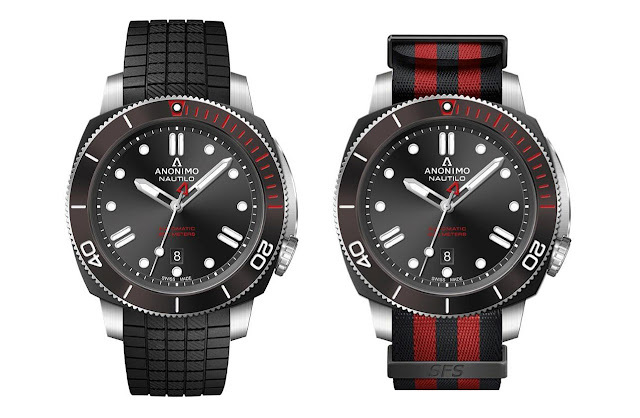 The Anonimo Nautilo Sailing Edition can be matched to a rubber or a NATO strap. The retail price is Euro 1,950.